Have you heard the news? Queen Latifah will be the featured guest at the Texas Apartment Association Education Conference & Lone Star Expo General Opening Session in Houston next April. 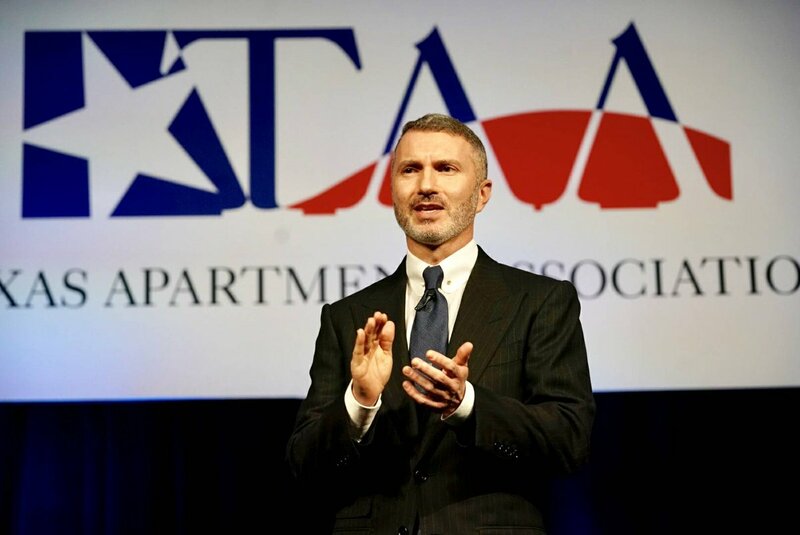 The 2019 TAA Education Conference & Lone Star Expo combines exceptional education, networking and fun for cost-effective professional development close to home. The Conference will be held April 10-12 in Houston. In addition to relevant education, the industry’s largest trade show in Texas and exceptional networking opportunities, this year’s Conference will include a keynote and Q&A with Queen Latifah. Join thousands of your colleagues from around the state and nation who are expected to attend. See Conference registration options and discounts. Registration opens in mid-January. Academy Award-nominated, Grammy- and Emmy-winning Queen Latifah will be our General Opening Session’s featured guest at the 2019 Texas Apartment Association Education Conference & Lone Star Expo next April in Houston. The General Opening Session is Thursday, April 11. Currently seen in the Fox series, Star, Latifah is just that—a star who shines brightly in many fields, and who has always been a shining example of a confident, beautiful, self-assured woman at home in her own skin. From a small child in New Jersey singing in the choir of Shiloh Baptist Church to actress and CEO of Flavor Unit Entertainment, Queen Latifah’s message of leadership, lifelong learning, success and giving back will inspire you to pursue your own dreams with integrity, authenticity and compassion. Fun and fellowship at the Thursday Kickoff Party at the Park at Minute Maid Park, with games, grub and The Spazmatics. And more fun on Friday night at the Emerald Extravaganza Installation & Awards Gala, with after-program entertainment from The Grooves. More fun and games, with a chance to try your luck (or skill?) at the first-ever TAA PAC Bowling Tournament at Lucky Strike in downtown Houston, within walking distance of the George R. Brown Convention Center. And some lucky person will win a 2019 Jaguar XE in the TAA Education Foundation’s vehicle raffle. Look for tickets to go on sale in February. Conference registration will open in mid-January. See Conference discounts and registration options. More information about the TAA Education Conference.